IBM gave a positive forecast for 2019 and beat analysts’ estimates for quarterly sales and earnings, led by its business that helps companies and governments manage their technology. Revenue was US$21.8-billion in the fourth quarter, topping the average analyst forecast of $21.7-billion. Earnings were $4.87/share, also beating analysts’ forecasts. IBM said it sees adjusted earnings per share of at least $13.90 in 2019. CEO Ginni Rometty has been touting IBM’s newer businesses in the cloud and artificial intelligence as agents for growth. But in the past year, increases have come from traditional markets instead. IBM’s consulting business flipped from declines into growth in the period ended 31 December, with revenue gaining 4% to $4.3 billion in the Global Business Services unit from the period a year earlier. Revenue from cloud-based offerings grew about 12% to $19.2-billion in 2018, about half the growth rate of last year. IBM agreed to buy software maker Red Hat for $33-billion in October to jump-start its efforts to catch up in the cloud. 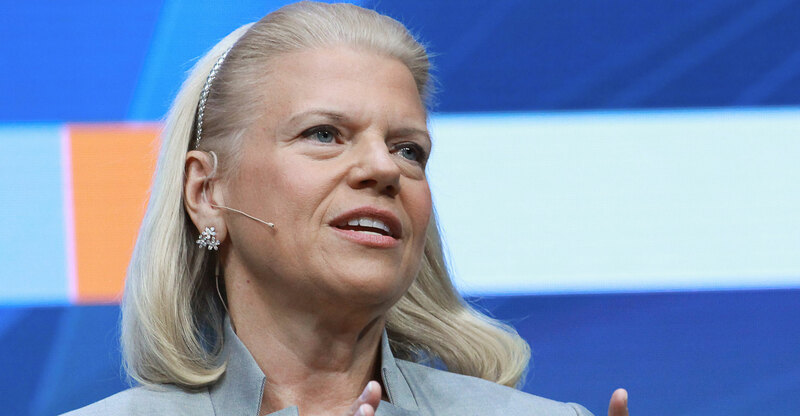 Rometty called the purchase “a game changer” for IBM. Revenue generated by the company’s systems unit, which includes hardware and operating systems software, declined 21% in the fourth quarter to $2.6-billion. Technology services and cloud platforms sales fell 2.9% to $8.9-billion while Cognitive Solutions, which includes artificial intelligence and analytics software, reported revenue of $5.46-billion, little changed from the period a year earlier.